Cornish College dancers unveiled Pat Hon’s choreography to Betty Olivero’s suite from the classic silent film The Golem. Also, Eugene Levitas’ song cycle Until When? sung in the original Hebrew with a dramatic reading in English by ACT Theater’s Kurt Beattie. Plus works from Marc Lavry, Eugene Levitas, and the audacious Erwin Schulhoff. Also featuring a performance by Takumi Taguchi, the winner of the 2013-2014 David Tonkonogui Memorial Award. *In collaboration with the Dance Department at Cornish College of the Arts. Bloch made a significant contribution to American musical life as director of the Cleveland Institute of Music (1920–25) and the San Francisco Conservatory (1925–30). He lived for most of the 1930s in Switzerland, but immigrated to the United States in 1940 in reaction to the rampant anti-Semitism throughout Europe and the Third Reich’s policies banning the performance, publication and employment of Jewish composers. He was a professor at the University of California, Berkeley from 1942–52. Bloch’s Nigun is the second movement of his Baal Shem (Three Pieces of Chassidic Life), a work that depicts spiritual and religious elements of orthodox Jewish life. A nigun ("humming tune" in Hebrew) is a religious song, without words, that can serve as a path to higher consciousness and transformation of being. Especially important in the Hassidic movement, it is an improvisation that reflects deep emotional and religious feeling. Erwin Schulhoff was an audaciously original voice whose fascinating career was brought to an abrupt end in a Nazi concentration camp. An innovative composer, he saw the performance of his music banned as “degenerate” during the early days of the Reich; as a Jew and a socialist, he was slated for destruction by Nazi hands. Even after the war, Schulhoff’s legacy faced non-musical obstacles. In Western Europe, his music was stigmatized because of his communist affiliations; in Eastern Europe, performance of his music was limited by his German-Jewish heritage. Yet during the period between the two world wars, Schulhoff was a vital creative force in European artistic life, active both as pianist and composer. The extraordinary variety of his music reflects the period’s volatile social and political atmosphere. Born in Prague, Schulhoff was recognized as a child prodigy by Dvorák. He studied piano and composition at the conservatories of Prague, Vienna, Leipzig and Cologne, and in 1913 took lessons with Debussy. He emerged from a relatively traditional musical education as a free thinker who embraced new currents in both popular and art music. A formidable pianist, Schulhoff championed the music of his time—Scriabin, Schoenberg, Berg, Webern—as well as the avant-garde quarter-tone piano music of his Czech compatriot Alois Haba. Schulhoff was conscripted into the Austrian army in 1914. He returned four years later disillusioned and angry, and became a committed socialist. In Berlin, he soon became acquainted with the Dadaists, whose absurdist art movement and anti-bourgeois stance resonated with Schulhoff’s unconventional ideas and revolutionary spirit. Through his friendship with painter George Grosz, also a collector of contemporary American jazz recordings, Schulhoff became acquainted with that idiom. He worked as a jazz pianist in the “Hot Jazz” clubs of Europe in the 1920s, and was one of the first composers (pre-dating even Gershwin) to incorporate jazz elements. With the rise of Nazism, Schulhoff’s career in Germany ended, despite his artistic triumphs in Berlin, Leipzig and Dresden. He returned to Prague, where he jeopardized his status by becoming a Communist. In 1939 he became a Soviet citizen, and sought to emigrate there following the Nazi takeover of Czechoslovakia that year. Before his visa arrived, he was arrested in Prague as a Jew, a “degenerate artist,” and a Soviet citizen—an undesirable on all fronts. Returning to Prague in 1923, Schulhoff launched a new creative period inspired by a synthesis of avant-gardism with European mainstream tradition. Composed in November 1927, his second sonata for violin and piano is a brilliant and intense work. It reflects Schulhoff’s distinctive wit, and his passions for jazz and dance. 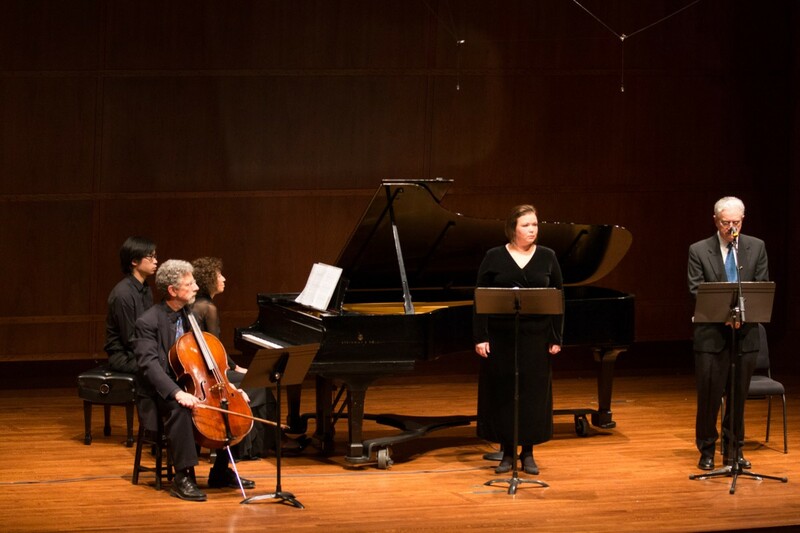 The sonata’s second movement is deeply expressive and emotionally rich. 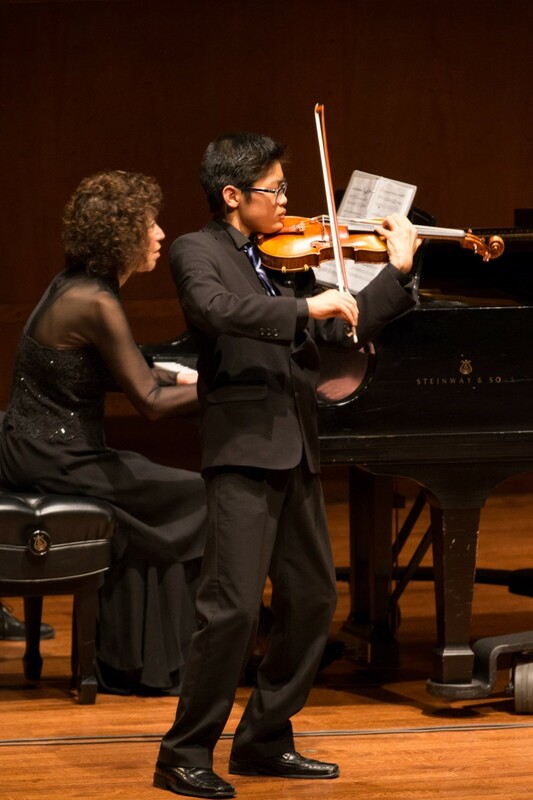 While a virtuosic work for both instruments, the sonata’s idiomatic writing for the violin is striking. It was premiered by Richard Zika, leader of the Czechoslovak Quartet, who was also the first performer of a solo violin sonata that Schulhoff composed earlier in the same year. Eugene Levitas offers the following remarks about Until When? Until When? was commissioned by soprano Sharon Rostorf-Zamir for her CD "Forever to Remember" with songs to poems by Yaakov Barzilai. I wasn't yet familiar with Barzilai, but in reading his books I was struck by the beauty of the intensely painful poetry he devoted his life to writing about the Holocaust. Many of Barzilai’s poems have already been set to music by other composers, and I sought to create something fresh and different. I discovered a short verse, four-lines long, and was amazed by the clarity of what can be expressed so powerfully with only a few words. It inspired me to create the cycle, based on five short poems, which you’ll hear tonight. I find Barzilai’s poetry deeply meaningful, and hope that this music will communicate their intense emotion to you. Composer Eugene Levitas belongs to a new generation of young Israeli composers. He is fluent in the diverse musical styles of classical, contemporary, jazz, electronic and pop-rock music. Levitas' concert music has been performed by many leading orchestras and artists including the Israel Chamber Orchestra, the Israel Symphony Orchestra, and conductor-violist Yuri Bashmet and the Moscow Soloists. Poet Yaakov Barzilai survived the Bergen-Belsen concentration camp, where his father and grandfather perished. He has been living in Israel since 1949, active writing, lecturing, and presenting his poems. Over 100 of his poems have been set to music and performed worldwide by various solo and instrumental ensembles. The five poems which comprise this song cycle were published in Barzilai’s poetry collection: Letters Weeping in Fire (2004). Barzilai was invited to read one of his poems at the Knesset, marking Israel’s 2010 Yom HaShoah commemoration ceremony. Each year more than 30,000 Israeli students take his poetry on site visits to Auschwitz, where they are recited. Before Hitler’s ascent to power, Marc Lavry was widely respected as a composer and conductor in Germany. After studying composition at the Leipzig Conservatory, and conducting with leading figures such as Hermann Scherchen and Bruno Walter, Lavry held a conducting post at the Saarbrücken Opera House. In 1929 he conducted the Berlin Philharmonic. Two months into the Nazi regime, Lavry returned to his native Riga, but then chose to leave after Latvia’s own fascist coup. He and his wife immigrated to Palestine in 1935, and Lavry quickly established himself as a composer, conductor, pianist, arranger and orchestrator. Lavry is considered one of the founders of the Israeli Mediterranean School of composition. Along with other European émigré composers such as Paul Ben Haim and Odeon Partos, he was inspired by his new surroundings. They came to feel that composing music in a purely European style betrayed their newly-found desire to compose Israeli music. Lavry’s compositions drew on indigenous folk material, modal patterns, and the musical rhythms of his adopted country. He sought a musical style that was transparent, emotionally communicative, and dominated by melody. He wrote over 400 musical works, ranging from grand opera and symphonic works to chamber music and popular songs. Lavry composed the Suite Concertante for Flute, Viola and Harp in 1966. Two of the work’s three movements are based on the composer’s original songs: the opening movement, “Shir Roim” (A Shepherd’s Song), is pastoral and innocent; the concluding movement, “Machol” (Dance), is strongly rhythmic and humorous. 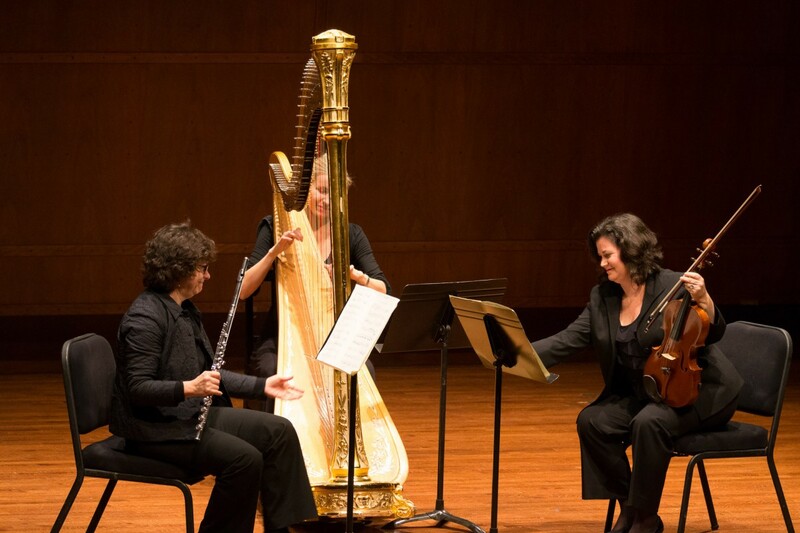 The work’s middle movement, Prayer, depicts the conflict between the past and present by juxtaposing the minor mode of traditional Jewish prayer melody with major tonalities expressive of an optimism inherent in new Israeli music. The late composer’s son, Dan Lavry, lives with his family on Bainbridge Island, and we were honored that they were here for the concert. Music of Remembrance first performed the concert suite in 2000, and it became an instant favorite of MOR audiences. In 2008 MOR also performed the complete score to accompany a screening of the film. 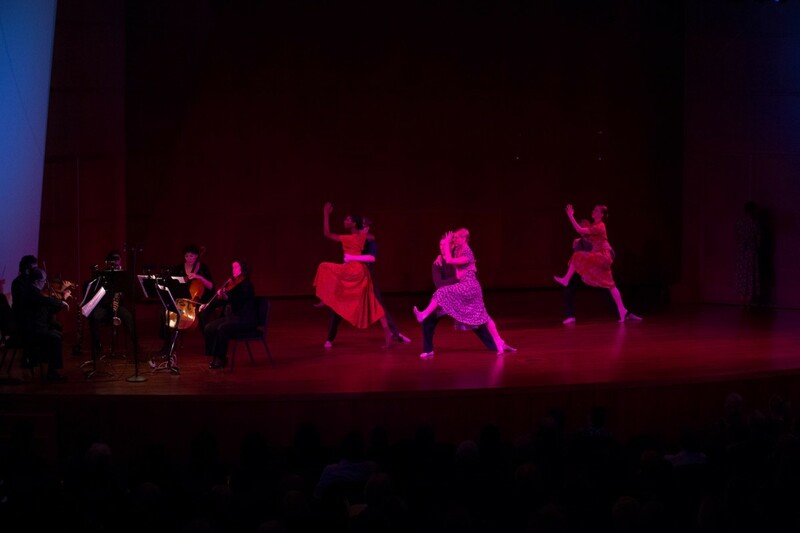 The suite’s six dances and songs leave listeners wanting to dance in the aisles – but, amazingly, the work had never been presented with actual live dance. 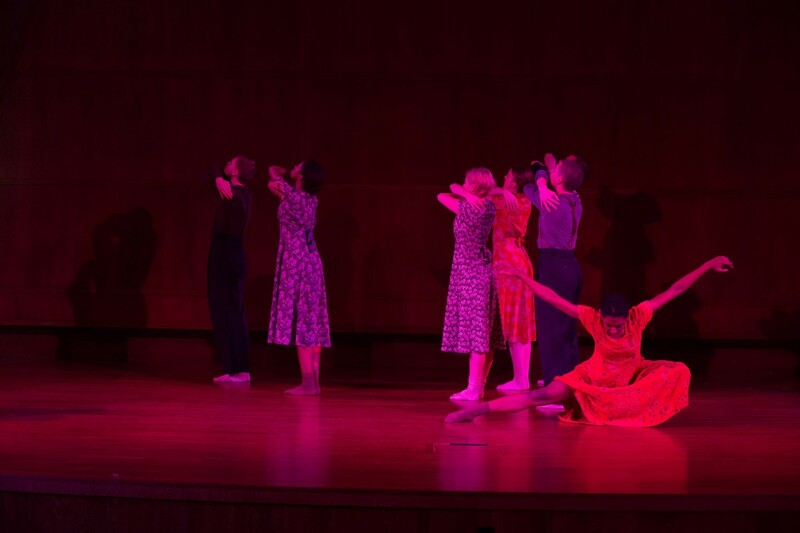 For years, MOR had envisioned commissioning a dance work that would bring this new dimension to the stage. Cornish College choreographer Pat Hon took on the challenge of translating the subtly-nuanced music and the mystical story into evocative movement. The result, Destination Unknown, is a work that combines memory with fantasy, history with myth. The endeavor also gave MOR a wonderful opportunity to partner with Cornish, and we hope that this will be the first of many meaningful collaborations. About Music notes by Mina Miller. Copyright 2013 Music of Remembrance.